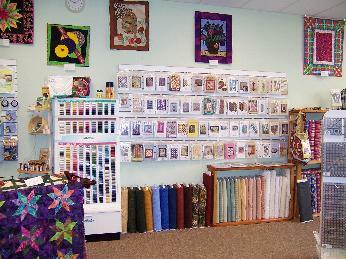 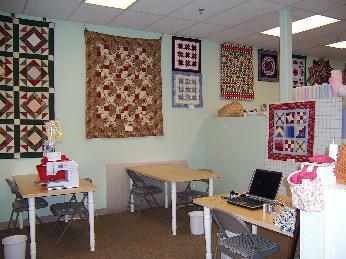 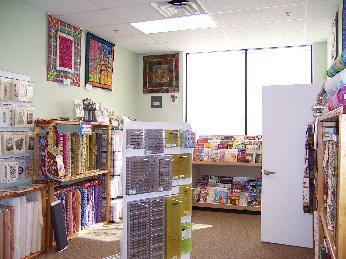 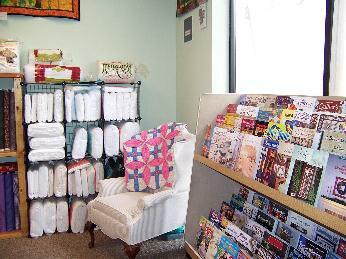 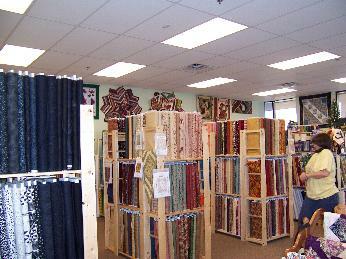 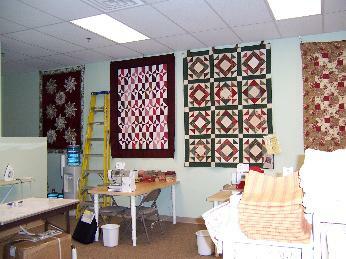 Welcome to Quilters Oasis located in Mesa, AZ! 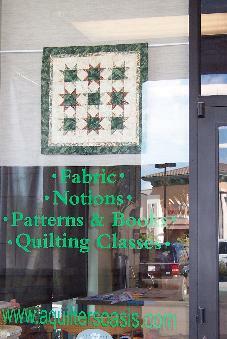 located in strip mall at the corner of Crismon and Baseline. 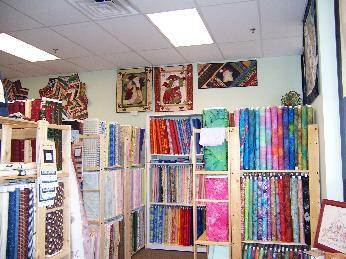 checking out fabric for a customer.